Are you tense? Do you have trouble sleeping? Do you have brain fog? Are you clenching your jaw? Feeling stressed? We all hold residual tension in our bodies for various reasons, whether it is our daily activities, working on your career, school/ university assignments and exams, the kids are driving you up the wall or your gym workouts are taking its toll. 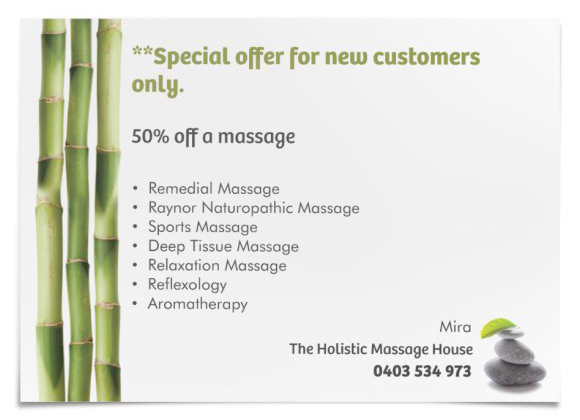 At the Holistic Massage House we strive to tailor each massage to suit each and every one of you. Be gone residual tension, its time to go! Call us today on 0403 534 973! The Holistic Massage House provides a range of modalities of massage, including the Raynor Naturopathic Massage technique. 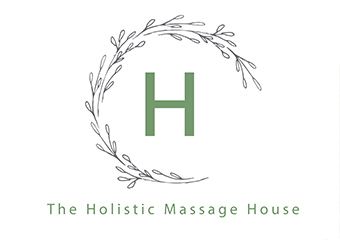 Every massage provided at the Holistic Massage House is tailored to suit the clients needs. 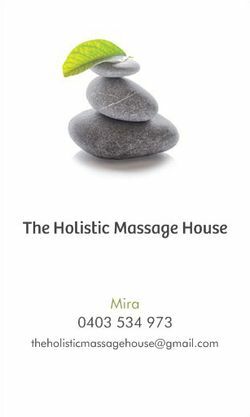 Mira became a Raynor Naturopathic Massage Therapist as she was sick of receiving "feel good" temporary relief massage, with no long term and effective, noticeable results. Raynor Naturpathic Massage can help every individual. We all carry stress to varying degrees. Stress is stored in the muscles and is known as tension. It can be held in tension for a few days or for many years. In some cases, it can be held in response to a traumatic event and or an injury or maybe simply collected over time though everyday activity. As months and years pass, we grow accustomed to this tense ‘state’, along with the depletion in energy, moods and other negative side effects attached to this tension. We either convince ourselves this tense 'state' is normal or are simply unaware of its presence and the length we have felt like this. Raynor Naturopathic Massage is one of the most complete and systematic forms of massage to remove all residual tension from the body. 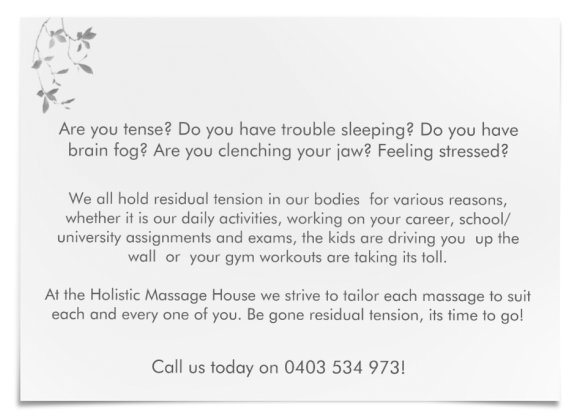 Banish tension today at The Holistic Massage House. Raynor Naturopathic Massage is a holistic system of bodywork developed by Naturopath Brandon Raynor. Its origins are in Ayurvedic Massage, Chinese Medicine, Thai Massage, Reflexology, Shiatsu and yoga breath work. There is a special emphasis on the Eastern medical theory that the physical body is a gross manifestation of a subtle body composed of a life force (chi or prana), emotions and other subtle energies, and that are each related and have an effect on each other. Physical or emotional stressors can lead to a blockage or disruption in the flow of chi or prana can cause bones to shift out of place or create tension in the body. Most tension exists along bands in the body that are composed of muscles, tendons, ligaments and other body tissues. Underlying these physical manifestations of the bands are subtle energy systems similar to Meridians in Chinese Medicine, Sen lines in Thai Massage, or Nadis in Ayurvedic Massage. Knowledge and techniques gleaned from these ancient modalities were then integrated and evolved to form the Raynor Band Theory along with its unique set of techniques, adjustments, stretches and rhythm. While Raynor Naturopathic Massage Bands may overlap with some of these, the distinguishing feature of Raynor Bands is they can be physically traced and often seen within the body. The primary goal of Raynor Naturopathic Massage is to relieve a person of residual tension, muscle tightness in an area of the body when the body is at rest, and return the body to its natural state of relaxation. The word “relax” literally means to bring back to a state of looseness. “Re” means to bring back to and “lax” means loose, whereby Raynor Naturopathic Massage is actually a form of deep relaxation massage. In addition, we believe that massage should not be performed in a routine manner, as each client has their own specific treatment needs. This is why the development of one’s sense of touch and intuition is equally important in Raynor Naturopathic Massage in order to properly diagnose and treat a client. It also concentrates on parts of the body that are often neglected by traditional massage therapists, such as the abdomen, sacrum, hips, feet, hands and head. These areas tend to hold a lot of stagnation and blockage of the life force and freeing them up will generally have a great benefit not just to the areas concerned but to the whole being. Typically, the amount of massage required for most people to remove all tension ranges from ten hours (reasonable tension accumulated) to twenty hours (more severe tension typically accumulate over a long period). Up to thirty hours may be necessary for severe tension due to a history of injuries or trauma or simply accumulated over a long period of time. This is the ‘excavation process'. On each subsequent visit, layers of tension are removed, therefore the ‘resistance to pressure’ or ‘pain’ is lesser each time. Once the excavation process is complete, treatments can be sporadic in order to maintain to current state of the body and avoid the accumulation of any new tension.